iPhone data loss is one of the most painful problems that many iPhone users have faced in the recent times, and many iPhone users have used various iPhone data recovery tools to try and recover the data they lost. It is indeed a bad feeling to lose the important and private data you have on your iPhone. Many of us have gone through the feeling, and we wish that there could be a way to get all of the data back. If you use your iPhone for business, then the loss of your data might feel more painful, because losing business files might cost you a lot of time and money. You might be familiar with some of the reasons of how someone can lose data on their iPhone. We will first discuss the main reasons why you lost your iPhone data; then we will talk about the top ways to get your iPhone data back. One of the most common reasons for losing your data is because you lost your phone. Of course, all of the data in that phone will be gone, and that might be even more important to you than the phone itself. We will later talk about how you can recover your data when you lost your phone. Many of the users don’t admit it, but another common reason for losing data on iPhone is when the user him/herself accidentally deleted it. Even a press of a wrong key can lead to you losing all of your data. Another case of the human error is restoring a wrong iTunes backup on an iPhone. It can result in losing all the data that you had stored in your phone after that backup. Dropping of an iPhone in water or on the ground and causing physical damage has been responsible for a lot of data loss for iPhone users. All of us has seen an iPhone with a broken screen, right? 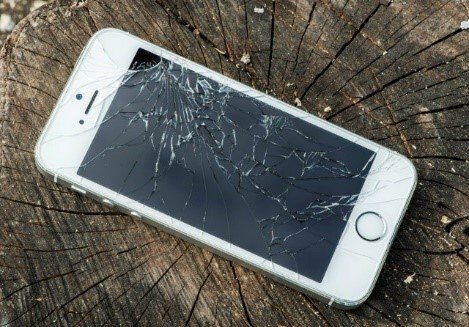 Sometimes you cannot recover your data from that phone, but later on, we will talk about the ways of how you can recover data from a physically damaged iPhone. There have been many scenarios where iPhone users failed to upgrade iOS. It leads to the phone being unusable and caused data loss. It can be caused by a simple cable disconnected by mistake or a power failure. It can happen to anyone, and we will discuss what to do in such scenarios later. 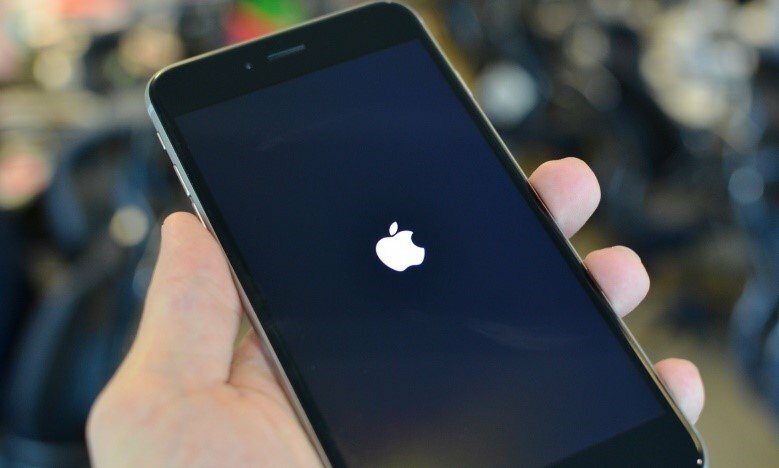 Replacing an iPhone’s battery has the same effects as a factory reset, which will result in data loss. There might be many reasons why you want to replace the battery of your iPhone. Recently, Apple admitted to slow down the old models of their iPhones. They also said that replacing the battery will fix the issue. So if you are planning on replacing the battery of your iPhone, you should keep in mind that it can lead to data loss. 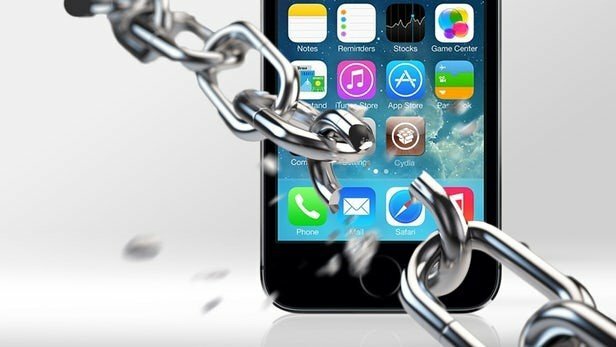 Jailbreak, especially a failed one will lead to data loss of your iPhone. Jailbreaking your device voids its warranty, and many users got stuck in DFU mode, which left them with no access to the data. 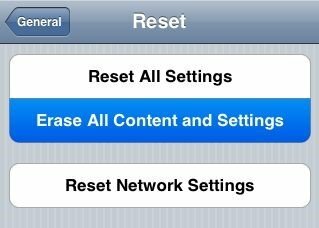 You might need to reset factory setting on your iPhone when facing many scenarios. One example is when your iPhone gets stuck on the white Apple logo screen. 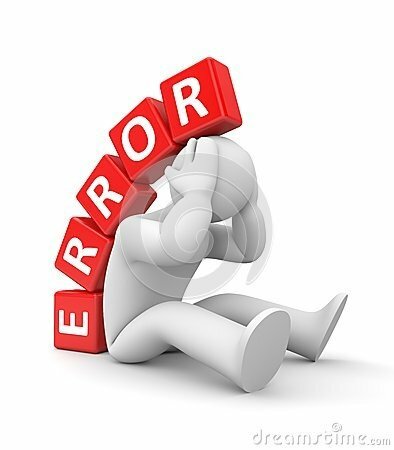 You are left with no choice expect factory resetting the phone which will result in data loss. 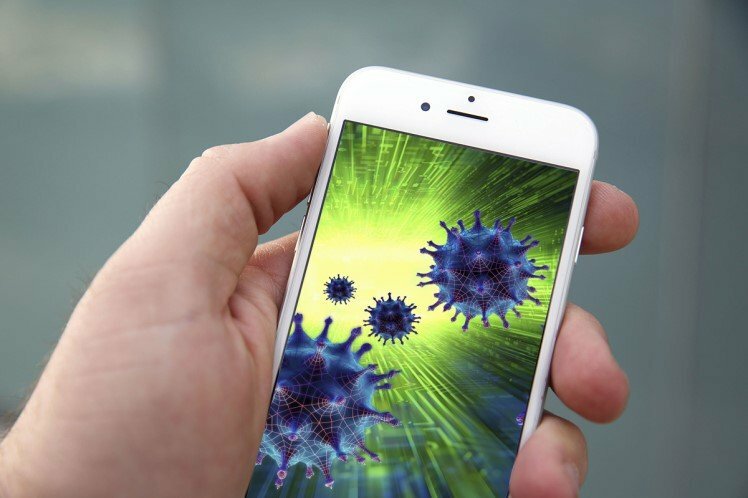 While iPhones are known to be prone to virus attacks, but that’s not the case anymore. There are many virus attacks which have led to data loss on iPhones. The virus can come from an application or a corrupted file that you downloaded on your phone. In some cases, only some data is lost due to these virus attacks, and in some cases, it can result in you having no access to the files on your iPhone. 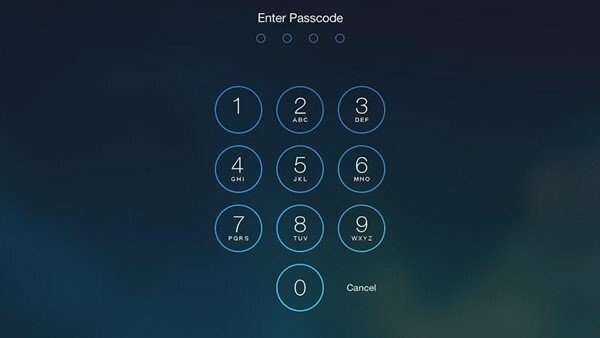 How many times have you faced a situation when you set a passcode for your iPhone, and it just gets completely vanished from your mind? We have seen many people facing this situation. Some people forget the password because of an intense workout, stress, tiredness or panic. While we recommended that you use a pin code to save data on your iPhone, but in case you forget the pin code, your phone data gets wiped after ten attempts. There would be no option left other than to rest your phone which will result in loss of all your important data. There are many instances where the iOS system crashes. Applications like camera, contact app, mail or gallery can crash and put your iPhone into blank Apple logo screen, which is also called the screen of death. The phone restarts and continues functioning normally, but you might notice that your contacts, pictures, and audio files are not there anymore. It is caused by the application crashing. Last but not the least way how you can lose data on your iPhone is because of natural disasters. 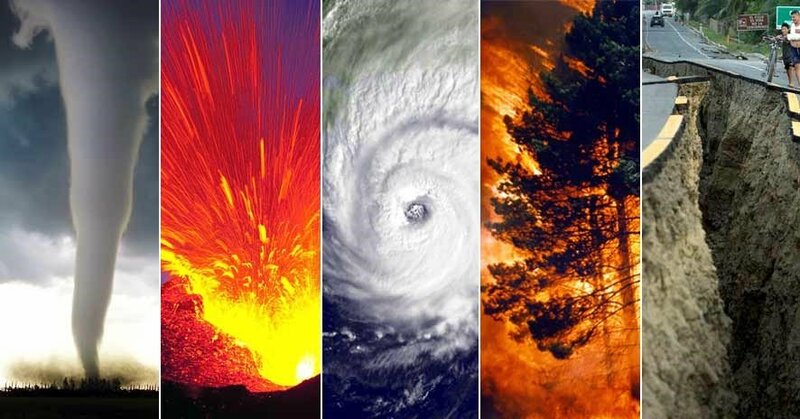 Natural disasters are the most uncontrollable cause among all. It can include fires, earthquakes, floods and even electricity shortages. According to a survey, only 3 percent of the users lost their data because of natural disasters, but still, this is an element that leads to you losing valuable data on your phone. Whenever you face a situation where you have lost your iPhone data because of any of the reasons that we have discussed above, your first and best option is to try iPhone data recovery with the help of free software. 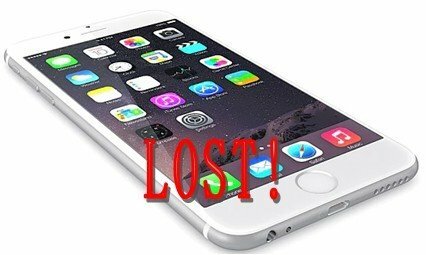 Because of the increasing number of iPhone data loss cases, many software developers decided to create software to help people recover their lost data, and so that they can earn good money from it, of course. You might rely on your local PC backup to recover your data but that can backfire a lot of times, and you might not be able to recover all of the data that you want for your iPhone. The advanced software will allow you to have the luxury of choosing from a lot of options and recover most of your lost data. Now in the recent years, many software have surfaced on the market for iPhone data recovery. Even more are in development and being launched on a monthly basis. So the question arises that what how should you choose the best software for your iPhone data recovery? The first decision that you have to take when you are trying to choose from a whole bunch of data recovery software is to make sure that the software is safe to download. There are many software on the internet which carry a virus or malware in their installation file. It can cause damage to your computer and will not be any help in recovering your lost data. The best thing that you can do to ensure whether the software is safe to download or not is to check it through antivirus software. There is also a tool called Comodo File Analysis which allows you to check for viruses or malware in a file. Second and another very important thing to check is whether the iPhone data recovery software is powerful enough to handle different data loss situations or not. 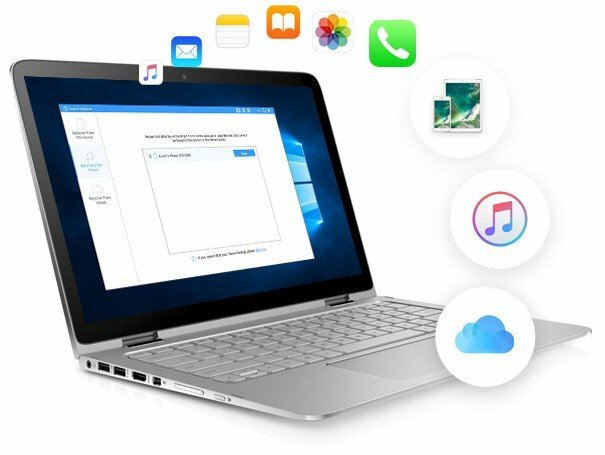 You can take into account the number of files it can support, its ability to deal with data loss because of accidental deletion and device inaccessibility. A data recovery software has to be compatible with your computer and your iPhone model. If it’s not compatible, you will not be able to recover any data. So it’s important to check the compatibility of the software. The software is only good enough if it’s easy to use. You should be able to know how to use all of its functions. In short, it should be user-friendly. It should not be confusing and should provide clear instructions on how to use the program. So these were some of the factors that you should keep in mind while deciding which software to choose for data recovery of your iPhone. One of the most commonly used ways to recover data for iPhone is through a local PC backup made through iTunes. Every iPhone user is familiar with iTunes because this is the tool which is highly used by iPhone users to buy apps, books, and music from the Apple Store. You will need first to create a backup of your phone which can be later on used to restore the data. To make the backup, you will need to connect your iPhone to your computer and have iTunes installed. Open iTunes and chose your device from the device icon next to category drop-down menu. Select Summary from the sidebar and select Back up Now. It should be under Manually Back Up and Restore. Once you have made a backup, your data stored in your device up till that time gets secured in your computer. Now if you face any of the scenarios which we discussed earlier where you lost your iPhone data, you will have the opportunity to restore all the data that you backed up using iTunes. To restore the data, you simply have to connect the phone to your computer and repeat all the steps involved in backing up the data. Only this time you have to choose Restore from Backup and select the backup file that you created. A Wi-Fi connection is used to create a backup of an iPhone with iCloud. Many users are utilizing the option of backing up their data on iCloud, and protecting all of their photos, music, Messages, settings, apps, etc. 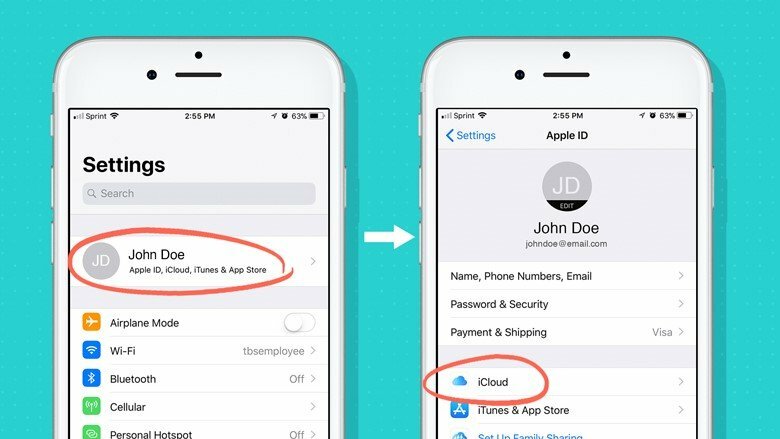 Apple is providing 5GB of free cloud storage for each Apple ID. In our opinion, 5GB is more than enough space to backup all of your iPhone. Additional iCloud storage can be bought for a fee. Creating a backup and restoring from iCloud is very easy. Just go to settings and tap iCloud. Choose iCloud Backup and stay connected to your Wi-Fi connection until the backup is completed. When you want to restore, just tap on Restore from iCloud Backup on the Apps & Data screen and sign into iCloud. You will then need to choose the recent backup that you made. That should do it for you. Let’s say you forget to make a backup on either iTunes or iCloud, and none of the free software is working for you, there is still one option left to recover your data. That is to take your phone to a professional or expect and ask for their help. There are many professional available in the market who have ample experience in iPhone data recovery. There is a high possibility that they can manage to recover most of the data that you lost on your iPhone. So these were the reasons how you could lose data on your iPhone and the best ways to get back the lost data.